Colorado Tick-Borne Disease Awareness Association (COTBDAA) - Education, Prevention, Research and Advocacy - Lyme in Colorado? 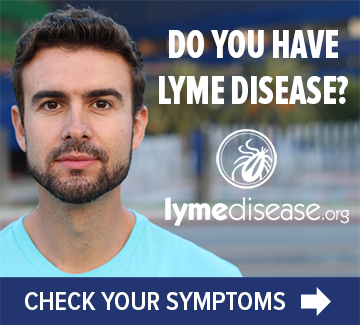 Can you get Lyme in Colorado? This is a highly controversial topic between patients, medical professionals and others in the state of Colorado which often results in doctors and patients butting heads when seeking care. Very few cases of Lyme have been reported here (13 cases since 1990) and none of these cases have been reported to the CDC as having originated from Colorado. Many more cases of Lyme have been reported in adjacent states. This surveillance data often influences physician diagnosis and testing for Coloradans that have been infected and do not recall a tick bite nor have recent documented exposure in known endemic areas of the country or world. As Coloradans, we have been greatly insulated from awareness of Lyme disease as the common belief is that “Lyme does not occur here”. Regardless of where a person may be exposed to this disease, it is important for Coloradans to learn how to protect themselves, recognize the symptoms, and understand the laboratory testing limitations and the controversy surrounding diagnosis and treatment. The primary vectors of Lyme disease, are the black legged ticks, I. scapularis and I. pacificus. Ixodes scapularis and I. pacificus are not reported to occur in Colorado. Ixodes pacificus has been documented in the adjacent states of Utah and Arizona, but the Lyme bacterium has not so far been detected in these ticks. Other Ixodes species that are known vectors of Lyme causing bacterium, Borrelia bissettii (type train DN127) occur in Colorado. Ixodes spinipalpis and Ixodes angustus are known to be competent vectors of Lyme bacterium and Ixodes auritulus has been implicated as a sylvatic vector. These three tick species are reported in Colorado. I. spinipalpis and I. angustus are considered to be “nidicolous”, meaning they are typically restricted to the nests or burrows of host species, usually rodents. Studies conducted by John Scott and others in Canada have documented these tick species on many birds; and recently documented I.spinipalpis on an eastern cottontail. An Ixodes spinipalpis tick was also collected during the 2016 field season during bird banding efforts by the Bird Conservancy of the Rockies in collaboration with COTBDAA’s Citizen Science study. Both I. spinipalpis and I. angustus are documented as occasional human biters. In a small study in Northern Colorado, I. spinipalpis was found to be associated primarily with the Mexican woodrat (Neotoma mexicana) and mice (Peromyscus spp.) where the vector competence of the Lyme bacteria in this species has been demonstrated. This tick has been assumed a low risk for human disease transmission in Colorado based on the “nidicolous” behavior observed in this species, however, I. spinipalpis has demonstrated questing behavior (seeking blood meal outside of host nests) in a California study as well as in another small study within wooded habitats of Colorado. This observed questing behavior increases exposure risk to other wildlife, pets, and humans in more humid or shaded micro-habitats within Colorado. More surveillance and research is needed to assess the potential risks to human health. Companion Animal Parasite Council tracks cases of Lyme, Anaplasmosis and Ehrlichiosis reported in dogs in Colorado annually, with increasing case numbers of these dieaeses each year. Increased occurrence of these diseases in dogs is an indicator of increased risk to human health in Colorado. All CDC reported surveillance cases of Lyme in humans have been attributed to tick exposures that have occurred out of state. Regardless of where exposures are occurring, many Coloradans suffer from the chronic form of Lyme disease. Coloradans are then challenged with finding access to care from physicians that have limited experience in diagnosing, testing or treating for this disease. The belief “Lyme does not occur here” coupled with the often vague flu-like symptom presentation of disease and lack of physician experience in diagnosis and testing may contribute to lower numbers of reported cases in Colorado. More research is needed to better understand the status of Lyme disease and risk to human health in Colorado. Awareness and education of Lyme and other tick-borne diseases for Coloradans can help both physicians and patients get to an accurate and timely diagnosis as well as testing and treatment for this often complex disease.